Take a step off the beaten path and truly experience all Orlando has to offer at these unique, educational locations. We know you have heard of Universal Orlando and Walt Disney World, but have your students ever gone on a treasure hunt through a beautiful garden, experienced the weightlessness of outer space, stepped foot onto the “Ship of Dreams” or seen some of the rarest creatures on earth in person? The Orlando area is home to some of the most interesting, beautiful and strangest attractions in the country, so don’t miss the opportunity to give your students an experience they really can’t get anywhere else. Take a chance on one of our top 5 picks for unconventional attractions in Orlando. When learning about animals at the zoo or out in nature just isn’t enough, SKELETONS: Museum of Osteology provides a closer look. Visiting a museum filled with skeletons may sound a little odd, but there is so much to learn from the bones of creatures that will excite wildlife enthusiasts or future veterinarians. The mission of SKELETONS: Museum of Osteology is to celebrate vertebrate life by introducing visitors to an engaging and educational experience that will help them develop an appreciation for the natural world and, ultimately, improve conservation efforts. 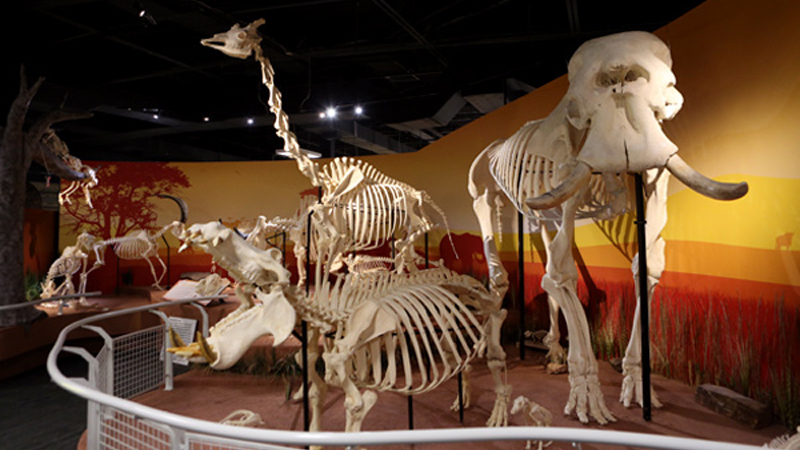 One of only two skeleton museums in America (both of which are owned by Jay Vilemarette), the museum is home to over 500 authentic animal skeletons, the largest collection in the country. Keeping education as a key priority, the museum offers a variety of learning programs, including STEM and osteology programs. The programs place a focus on teamwork and communication while encouraging students to utilize their problem-solving skills to learn about natural and life science concepts. Field trip packages are available that offer discounted group rates as well as scavenger hunt activities to help students engage with over 40 different exhibits. By studying the skeletons of animals, students will learn about what a bird’s beak says about its diet, how the horns of an animal can reveal its communication techniques or how to identify an animal based on its skull. Students may be surprised to see that penguins have knees or that dolphins have fingers. The fascinating discoveries are limitless and hold the potential to give students a deeper understanding of the complexity and similarities of the animals that share the earth with us. At Titanic: The Artifact Exhibition, students will get the chance to see history come to life. From the moment they step foot into the 20,000-square-foot facility with full-scale reproductions of ship locations like the Grand Staircase, a first class cabin and the boilers, they will get to live what guests on the RMS Titanic experienced over 100 years ago. Students will feel as though they’ve sailed back in time as they receive their boarding pass with the name of one of the real passengers on the ship and view over 400 authentic artifacts from the Titanic on display (including an actual section of the ship’s hull). They can even go out onto the Promenade Deck where they will be surrounded by the feeling of chill Atlantic Ocean air while gazing up at the stars. In addition, they will be guided through the 17 interactive galleries by actors portraying real passengers and crew, as they tell the stories of their characters firsthand. To immerse your students in the time period even more, a Titanic Gala Dinner Event on Friday and Saturday nights lets students celebrate the retirement of the Titanic’s captain, Edward John Smith, while dining with first-class passengers. 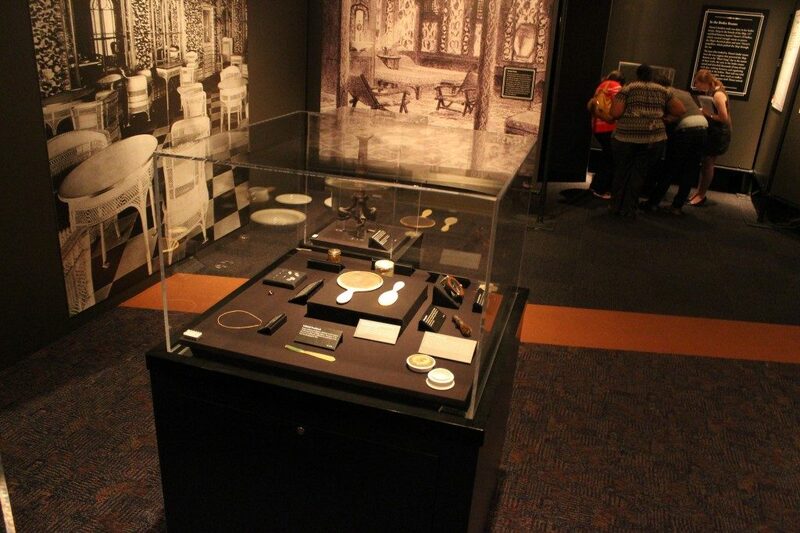 A visit to Titanic: The Artifact Exhibition is sure to become a memory your students will never want to let go. 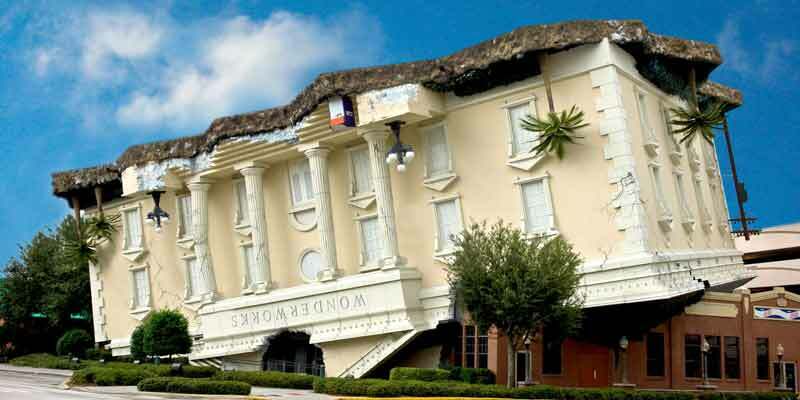 With huge attractions like Disney World and Universal Orlando, equally exciting amusement parks like The WonderWorks Experience can get overlooked. The 35,000-square-foot “amusement park for the mind” will turn your students’ world upside-down. Literally. Rumored to have been a top-secret laboratory on a remote island in the Bermuda Triangle, WonderWorks was home to some of the world’s greatest scientists. But after an attempt to harness the power of a man-made tornado, the laboratory was uprooted and tossed across the globe where it landed upside-down in Orlando. Fortunately over 100 exhibits inside were left intact to provide your students with hours of “edutainment.” WonderWorks features six WonderZones, including Natural Disasters, Physical Challenge, Space Discovery, the Far Out Art Gallery and more, to exercise your students’ minds. In the Natural Disaster zone, students can become a human lightning rod or feel the winds of a category 1 hurricane at 74 miles per hour while learning about one of the most common disasters. Or, at the Physical Challenge zone, students can lie down on a bed of 3,500 nails without getting a scratch (thanks to the power of physics) or design their own virtual roller coaster just how they like it. In the Space Discovery zone, kids can see what it would be like to be a real astronaut by trying on a life-size replica of an EVA (Extravehicular activity) suit and learning how it would keep them alive in the extreme conditions of outer space. To get the full space experience, they will also have the opportunity to take the Astronaut Training Challenge by getting into a two-person gyroscope that spins and rotates to simulate the weightlessness of outer space. After venturing through the WonderZones, students can journey up to the basement to the Experience More section that offers a glow-in-the-dark ropes courses, a 4D XD Motion Theater and a black-lit Laser-Tag arena. In addition, the section also features an interactive comedy dinner show with unlimited pizza, salad and dessert. Keeping student groups in mind, WonderWorks offers field trip packages that include grade-level lesson plans. 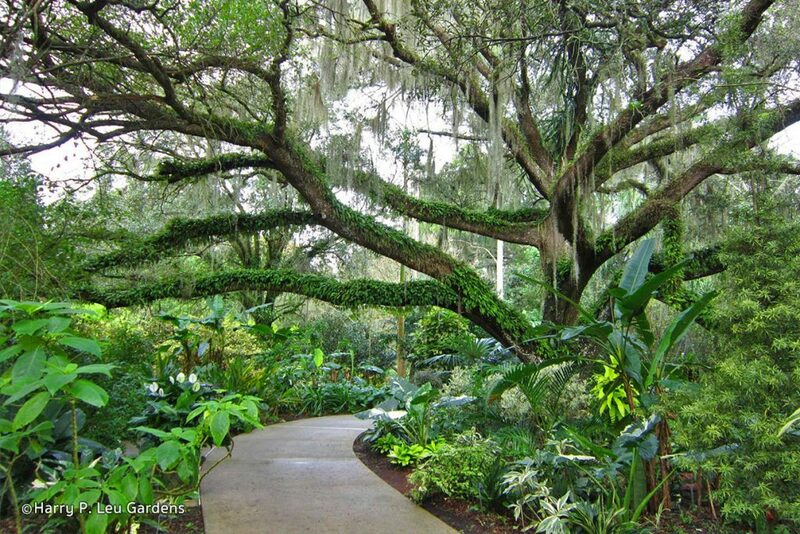 It is almost unbelievable that Harry P. Leu Gardens is only minutes from the busy streets of downtown Orlando. Donated to the City of Orlando in 1961 by Harry P. Leu and his wife Mary Jane Leu, the garden spans 50 acres and is home to a wide variety of temperate and tropical plants that the couple had collected during their travels around the world. Beautiful palms, flowering trees, azaleas, vines, roses, oak trees, tropical philodendrons and more cover the lush landscape. Students can enjoy a bag lunch amidst the flora and fauna on the patio of the Garden House Welcome Center or, on select nights, watch a movie on a large screen under the stars. A variety of tours specifically tailored for students are available. Options include a guided tour led by a trained Garden Guide to teach students how the exotic plants adapted to their current biome or a self-guided tour for students who are eager to explore the winding paths on their own. Students with camera phones can scan QR Code images on many of the garden signs to uncover more information about the plants. To learn even more, they can visit the large reference library featuring over 2,000 volumes of gardening and botany books. If you are looking to further engage your students in the beautiful surroundings, Leu Gardens offers geocaching, an outdoor treasure hunting game which requires the use of a GPS to uncover a hidden geocache. To download the interactive cache, students can go to geocaching.com and download the geocache called “Wheriwantago Seeking Nahn-Sea’s Heart,” a romantic story about a hero in search of his true love who was captured by an evil wizard. Students will enjoy exploring and bonding with their peers while walking the two-mile course through the gardens to find the treasure. What was originally Florida’s first major attraction has fallen under the radar due to big names in the area like Universal Orlando or Walt Disney World. But we are here to bring it back into the spotlight. Gatorland is known as “The Alligator Capital of the World,” and with over 2,000 American Alligators, we can see how it got its title. Extremely rare alligators like three of the 12 giant white alligators left in existence or the YouTube sensation, Pearl, the albino alligator, make their home in the 110-acre theme park/wildlife preserve. Students will also get to see the fearsome creatures in a new light as they explore the Baby Gator Marsh, where over 60 of the parks smallest alligators, as well as the current year’s hatchings, can be viewed in the protected area. 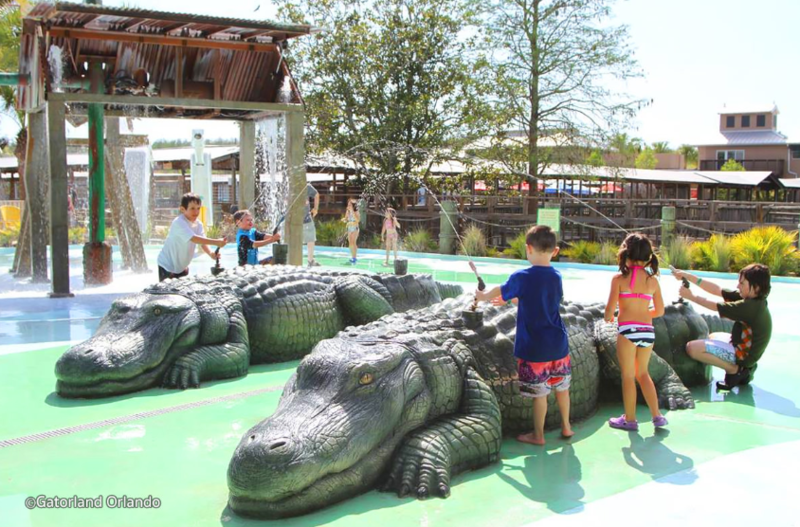 But it isn’t just about the gators, as the park also offers off-road monster vehicle rides along swamps, animal shows, a zip line, a petting zoo, shows and other animals like crocodiles, wild cats, birds, tortoises and snakes. These dangerous creatures would be frightening to see in the wild, but your students will be completely safe at Gatorland, making it the ideal destination for thrill-seekers in the group.